And Hall is last to fly, with the perfect line according to our analyst – walk in the park? Should be. Could this be the race for Hall?! There's a lot of love from the fans at home and he delivers – 58.400! THAT IS AWESOME! I better grab that coffee now & keep awake for the next round. So about an hour till the final 8, yes? If you need a heads up, the Round of 8 comprises of the seven fastest pilots from each Heat in the Round of 14, plus one fastest loser - today, that's Martin Sonka. 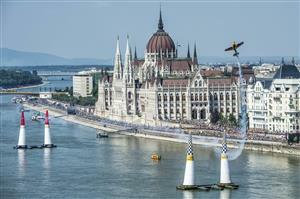 The four fastest pilots from the four heats in the Round of 8 will then progress to the Final 4, and the top three will stand on the Budapest podium. Who's your favourite for the win in Hungary? Typically, the wind has completely changed direction for Race Day, which could (and has been) throwing up problems for the pilots. The heat remains the biggest challenge though... those engines need to be running at optimum levels to help deliver a top performance out there. Lost to Paul @TEAMBONHOMME in R14,but made it into Round of 8 as The Fastest Looser! 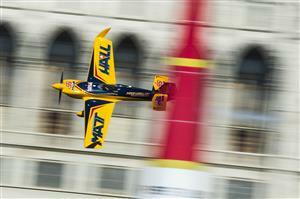 Stay tuned,now we fly against Matt @MattHallRacing. 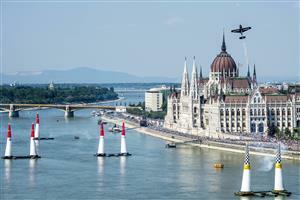 8 pilots about to fly in four heats of head to heads... it's Besenyei V McLeod first and those Hungarian fans will be sending Peter positive vibes from the banks of the Danube! Cleared into the track and we're off! 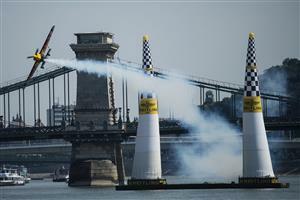 Besenyei is in great spirits as his confidence grows with the new Edge 540 V3 and he'll be going all out in Budapest! Into the last high G turn and he's clean so far, but he'll need to be under 1minute if he wants to secure a spot in the final... under review, No it's all good! 1:00.887 and that's a fantastic run for Besenyei! Can he stay penalty free out there? 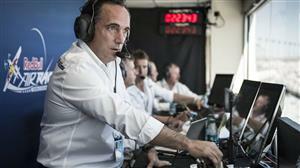 He has a tendency to make silly errors under pressure, but there's no doubt he can be fast. Is it the end of the dream for Besenyei?! It's 59.460 for McLeod and he's through! Great vertical turn as he heads back... but no that is an over G and he should have known better after the last round! SO far... McLeod through to the final, Arch hoping to join him!